As the disclaimer on our sidebar indicates, by publishing Ms. Matthis' compendium, we do not necessarily agree with the various texts and citations involved. In fact, I.O. 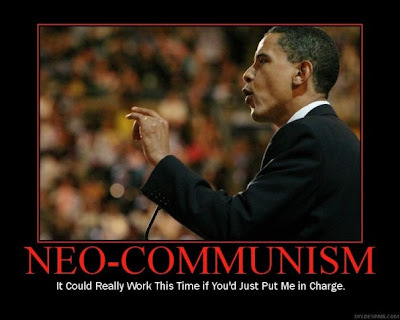 suggests other means of defeating the Marxofascist revolution against America that adheres to and includes the person of Barack Obama, with its massive Cloward-Piven sabotage and Marxist theft, and its determined treason against our Sacred Sovereignties. We would also cite reasons supplemental to those below, for whatever action is appropriately taken in response, including those just given, plus the implications of lack of adherence to the two Citizen parent requirement inherent in the "natural born Citizen" clause of the U.S. Constitution, also the Sestak allegation of felony, etc. Contemplation of non-electoral removal of the Obama administration has been fermenting for over a year. Until now, it has remained fairly hidden below the surface of the public discourse. This week, it has virtually erupted due to a viral email. On September 29, 2009, Newsmax published an article discussing overthrow of the Obama regime. The piece was a thoughtful discussion of the situation, written by a highly qualified former presidential adviser, and most definitely NOT incitement or advocacy. Nevertheless, Newsmax quickly removed the post from their website when a firestorm of criticism assailed them from the left. Officers swear to "support and defend the Constitution of the United States against all enemies, foreign and domestic." Unlike enlisted personnel, they do not swear to "obey the orders of the president of the United States." They can see that the economy -- ravaged by deficits, taxes, unemployment, and impending inflation -- is financially reliant on foreign lender governments. They can see the dismantling of defenses against missiles targeted at this nation by avowed enemies, even as America's troop strength is allowed to sag. They can see the nation's safety and their own military establishments and honor placed in jeopardy as never before. In a rare display of journalistic cowardice, Newsmax pulled not only the article, but also the author's biographical information, but not before Libertarian Leanings copied it in part. The author served two Democratic presidents and an ultra-liberal think tank. Perry also has had a distinguished career in public policy. He served President Lyndon B. Johnson as deputy under secretary of commerce and was a White House speech writer and race-relations trouble-shooter for President Johnson. In the Jimmy Carter administration, he was executive assistant to the under secretary of Housing and Urban Development and was interim director of public information for the Federal Emergency Management Agency. Perry was also assistant to the president of the National Association of Broadcasters, a member of the top-management team and director of public relations for the 1982 World’s Fair in Knoxville, Tenn., and an academic fellow at the Center for the Study of Democratic Institutions in Santa Barbara, Calif.
That summarizes the current buzz. Let's take a look at the evolution of this topic on the Internet. Do you think the colonists had that right when they broke off from England? Yes, we do have the right, and we should really think about using it. Actually the mention of overthrowing the government is found in the Declaration of Independence -- a document in which several men explained why they were pledging their lives in support of an armed revolution. Nope. Not at all possible. But, there were some caveats, as well as thirteen other opinions. One commenter referred to an actual coup attempt against Franklin Delano Roosevelt in 1933. The movie Seven Days in May, in which US military leaders plot to overthrow the US president, was also cited. If Americans went to war to overthrow Obama whose side do you think your allies would take? Does the Constitution allow the military to overthrow the Obama administration and the Democratic Party? Is it too late to overthrow the Obama regime? Do you think Barack Obama is guilty of treason and should be impeached? How can freedom-loving Americans overthrow the corrupt government we now have in Washington? Does the U.S.A. Military support Obama's ruination of the U.S. Constitution? The tide of public opinion may be turning against the President. Pollsters report growing skepticism about health care reform, and more active hostility on racial matters, thanks to that "uncalibrated" expression of opinion on the arrest of Professor Gates in his own home. That remark turned him, in the eyes of some, from a small b black President into a militant Black Panther, or at least someone who can stereotyped as such. ....The next thing you know, the type of removal of a democratically elected President that worked in Honduras might be attempted here at home. Don't say it can't happen here.... Some of us are still humming "We Shall Overcome" when our adversaries are chanting "We Shall Overthrow." Note that this was published on a major website almost two full months before the Perry article appeared, and there was at that time no outcry from the left about public discussion of the topic. October, 2009 -- Looking backward, it is hard to pinpoint the day this came online, but sometime last October the website United States of Earth published the multi-player browser strategy game 2011: Obama's Coup Fails. Modeled on World of Warcraft, the game was produced by eight libertarian programmers working at a secret location in Brooklyn, NY. Forty-year-old team leader Michael Russotto intends to develop the site as a for-profit venture. Elementary game play is free, but enhancements can be purchased. Foes of President Barack Obama and his policies can vent their frustrations by engaging in fictional warfare, thanks to a new online strategy game with a heavy political component. The satirical game 2011: Obama's Coup Fails, launched last month by a group of Ron Paul supporters that call themselves The Founders, throws players into combat against the crumbling Marxist forces of Obama’s loyalist Black Tigers, the Islamic fundamentalist Nation of Malsi and The Cong — a group of deposed Democratic congressional leaders. ...the game mixes strategy, trivia questions and community elements but has no particular ax to grind with Obama, according to Mike Lodispoto, one of the game's Libertarian founders. In fact, the next United States of Earth game will target President George W. Bush. Wow. Online strategy gamers who wish to lead militias against Obama (?) can finally do so... Of course, the game is not very violent. No one in the Obama administration is killed or assassinated, the game's creator explains; they are merely "captured" by patriotic citizen armies. It is our duty to arrest, charge and try these evil beasts in Washington and this is how we have to do it.... This is how we empower ourselves. Here is the weapon. Spread this to your lists and make it go viral before it's too late. MISPRISION -- In its larger sense, this word is used to signify every considerable misdemeanor, which has not a certain name given to it in the law; and it is said that a misprision is contained in every treason or felony whatever. In its narrower sense it is the concealment of a crime. Misprision of treason, is the concealment of treason, by being merely passive for if any assistance be given, to the traitor, it makes the party a principal, as there is no accessories in treason. It is the duty of every good citizen, knowing of a treason or felony having been committed; to inform a magistrate. Silently to observe the commission of a felony, without using any endeavors to apprehend the offender, is a misprision. Misprisions which are merely positive, are denominated contempts or high misdemeanors; as, for example, dissuading a witness from giving evidence. MISPRISION OF FELONY -- Whoever, having knowledge of the actual commission of a felony cognizable by a court of the U.S., conceals and does not as soon as possible make known the same to some judge or other person in civil or military authority under the U.S. 18 USC Misprision of felony, is the like concealment of felony, without giving any degree of maintenance to the felon for if any aid be given him, the party becomes an accessory after the fact. MANDAMUS -- The name of a writ, the principal word of which when the proceedings were in Latin, was mandamus, we command. It is a command issuing in the name of the sovereign authority from a superior court having jurisdiction, and is directed to some person, corporation, or, inferior court, within the jurisdiction of such superior court, requiring them to do some particular thing therein specified, which appertains to their office and duty, and which the superior court has previously determined, or at least supposes to be consonant to right and justice.Mandamus is not a writ of right, it is not consequently granted of course, but only at the discretion of the court to whom the application for it is made; and this discretion is not exercised in favor of the applicant, unless some just and useful purpose may be answered by the writ. This writ was introduced to prevent disorders from a failure of justice; therefore it ought to be used upon all occasions where the law has established no specific remedy, and where in justice and good government there ought to be one. Mandamus will not lie where the law has given another specific remedy.The 13th section of the act of congress of Sept. 24, 1789, gives the Supreme Court power to issue writs of mandamus in cases warranted by the principles and usages of law, to any courts appointed or persons holding office, under the authority of the United States. The issuing of a mandamus to courts, is the exercise of an appellate jurisdiction, and, therefore constitutionally vested in the supreme court; but a mandamus directed to a public officer, belongs to original jurisdiction, and by the constitution, the exercise of original jurisdiction by the supreme court is restricted to certain specified cases, which do not comprehend a mandamus. The latter clause of the above section, authorizing this writ to be issued by the supreme court to persons holding office under the authority of the United States, is, therefore, not warranted by the constitution and void.The circuit courts of the United States may also issue writs of mandamus, but their power in this particular is confined exclusively to those cases in which it may be necessary to the exercise of their jurisdiction. While many bloggers seem to see some remedy in this approach, my personal opinion is that this is not strong enough to do the job. Only the Supreme Court would have the oversight to issue a writ against an administration, and the conflict between the Sept. 24, 1789 act of Congress and the Constitution would have to be resolved in a time-consuming legal wrangle. However, I am totally sympathetic to the blogger's premise. The quasi-legal destruction of the founding fathers' vision would be most ideally countered through legal channels. There are two major arguments against putting faith in an electoral remedy. First, Obama usurped the census from the Commerce Department and arbitrarily moved it under White House jurisdiction. Then he enlisted his left-wing crony organizations, such as ACORN, to do the legwork. This is seen by many as an attempt to influence districting and representation. I am beginning to think a violent take over is the only way out of the mess this Marxist and his enablers are getting us into. With ACORN and SEIU conducting the next census and the counting of illegal aliens [Obama] will forever change the landscape for ALL of us. May 24, 2010 -- On Monday, Esquire magazine broke the story of Eric Massa's secret. Titillatingly titled Eric Massa on David Petraeus Military Coup in the source code, which renders this teaser in Google search blurbs, the actual story is tamer. Former (and now disgraced) Congressman Eric Massa had met with the editors a month ago to divulge a secret he claimed to have been harboring. The increasingly irrational and emotional Massa described this as treason, as a "coup" and military overthrow. In fact, it could be done with complete legitimacy. Petraeus would have to retire first, and then he would be in no different stance than George Washington, Dwight Eisenhower, Wesley Clark, and other candidates with military background. And his professional dignity and record of military service certainly render him a credible candidate. IF THERE WAS EVER A TIME IN OUR HISTORY TO SAVE OUR BELOVED COUNTRY, IT IS NOW BEFORE ITS DESTRUCTION IS COMPLETE. OUR GOVERNMENT HAS BECOME OUR ENEMY AND IT IS AN ENEMY THAT MUST BE DEFEATED AT ALL COSTS. Memorial Day is approaching, and this president who does not salute the flag plans to blow off the observance and take a family vacation to Chicago. Recall the famous lines from the poem In Flanders Fields? Few who understand the vision of our founding fathers can doubt that this President -- who goes abroad apologizing for our country, who bends the knee to foreign heads of state, who snubs our traditional allies and embraces socialist dictators -- has broken faith. If the time of reckoning should come, perhaps even the unquiet dead will align against him.